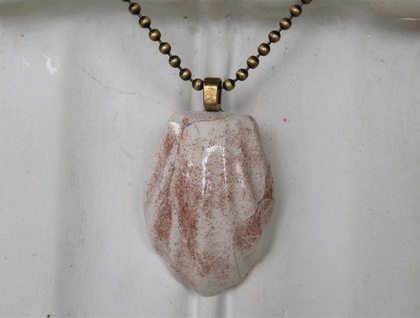 The Heritage necklace is part of my Emerge range, it measures approx 2.7cm wide x 3.8cm high (1in x 1.5in). The front and sides are glazed with a glossy clear crackle glaze and the back is unglazed to retain the natural smooth elements of the silt and clay. The design reflects on the beautiful old stone Heritage buildings in Christchurch, that sadly either collapsed from the earthquakes or had to be demolished. 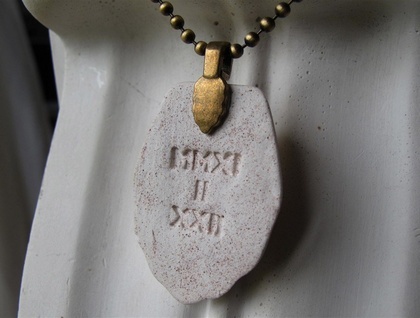 On the back of the pendant I have subtly stamped in the Roman numeral date MMXI-II-XXII which is the 22-2-2011, a date we will never forget. 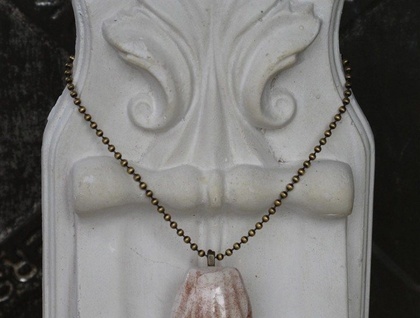 You can wear this necklace with special meaning close to your heart. 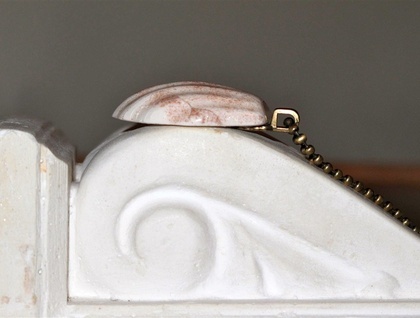 Please NOTE: It is attached to a vintage brass ball chain with matching clasp. The process of Liquefaction happened throughout the city, causing so much destruction. This silty soil has ruined thousands of homes and many suburbs of Christchurch have been lost to land damage, and residents have been forced to leave their homes and move elsewhere. Like many, this silt also affected my property 3 times and I decided to do something positive with this substance that has caused so much damage and so much loss. My main motivations with the Emerge range are to create beauty from disaster, and to help the present and future of our city. 30% of the proceeds of each purchase go to a current appeal most needed in our city. Each pendant is different and will not be the one pictured due to nature of marbling the silt in by hand and hand cutting. Some will have a heavier pattern, some will be lighter in colour - but they will all contain silt.